My girls love it when we have a big breakfast on the weekends. But what they love even more is when we have a big breakfast for supper! Sometimes it’s so fun to make the house smell like pancakes and syrup and enjoy a big hearty breakfast for supper. I adore Ree Drummond and just about all the yummy recipes she shares. Her blog, cookbooks and writing style are down to earth and full of great family favorite recipes that are simple to make and never skimp on flavor. 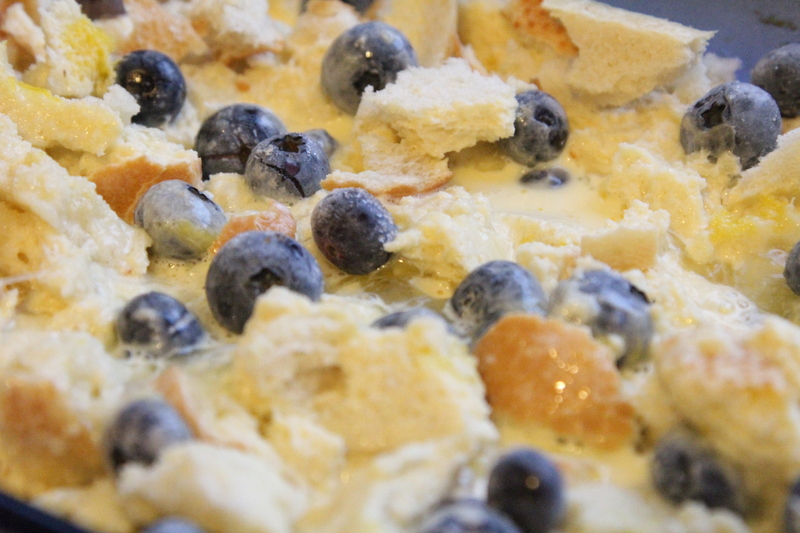 I’ve made her yummy baked french toast recipe a few times and it is always a hit, but this time I wanted to incorporate blueberries somehow. You remember all those blueberries I picked over the summer? I still have a few containers left in the freezer and I love bringing their freshness into any recipe during these cold winter months. 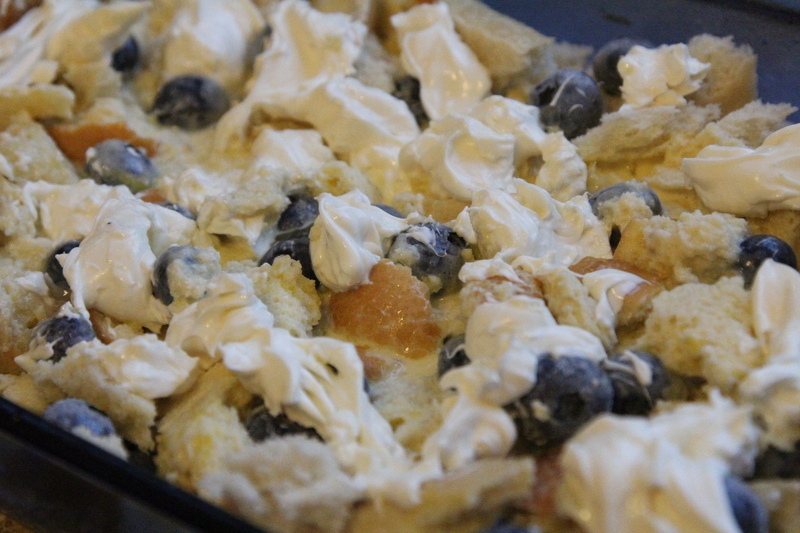 My mom was telling me about a breakfast casserole that had blueberries and cream cheese in it, so I decided to do a little experimenting and combined the always awesome baked french toast with a little cream cheese added in and full of those beautiful blueberries. This one was definitely a hit! 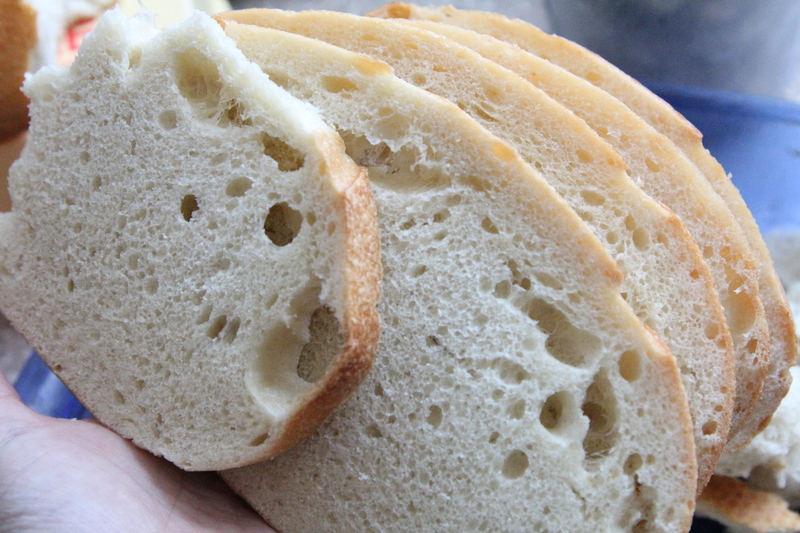 Start with the bread – I like to use sourdough. 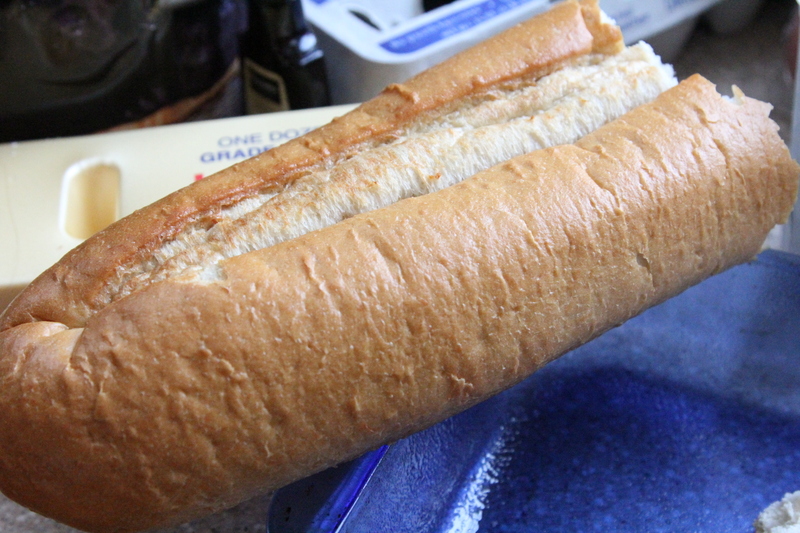 This time I used a combination of sliced sour dough and french bread. Just tear it up into pieces and toss into a greased dish. 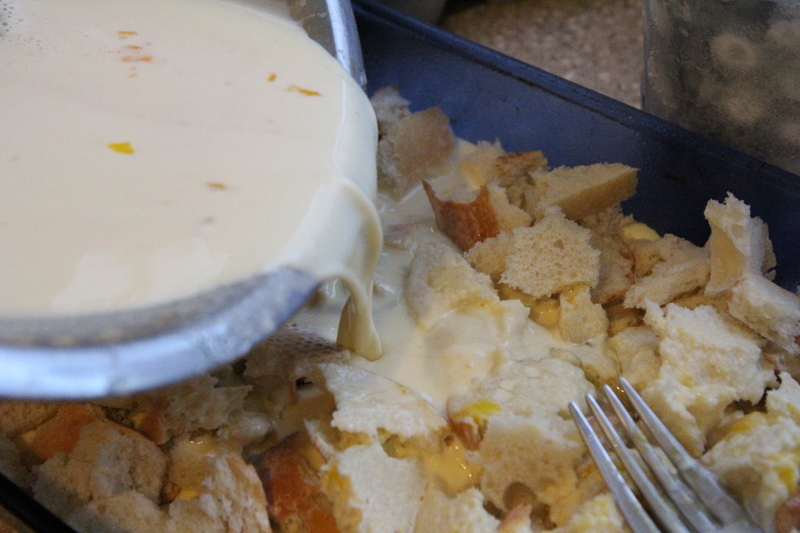 Combine the eggs, milk, half and half, sugar, and vanilla mixture and pour this over the torn bread. Add the dollops of cream cheese. Your fingers will get a little messy and it’s a little difficult to evenly space out the cream cheese, but don’t worry it will turn out awesome. Combine the topping ingredients in a bowl and sprinkle this evenly over the french toast. Cover with foil and bake at 375° for 30 minutes. 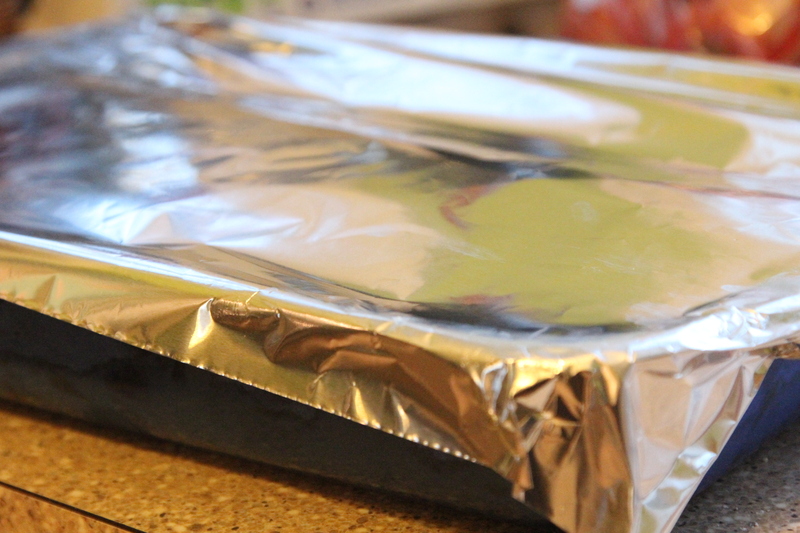 Remove the foil, and return to the oven to bake for another 25-30 minutes, until golden brown. You could serve with warm maple syrup which is always good. 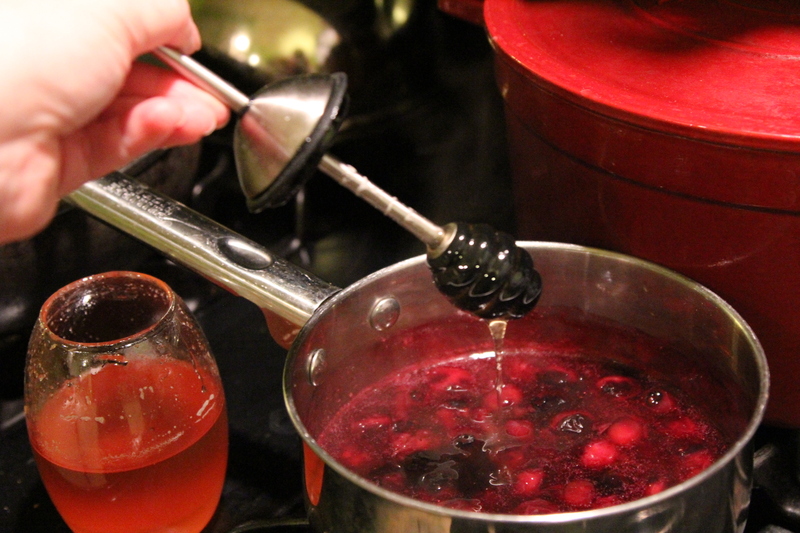 Or, you could pump up the blueberry flavor even more by making a blueberry sauce! 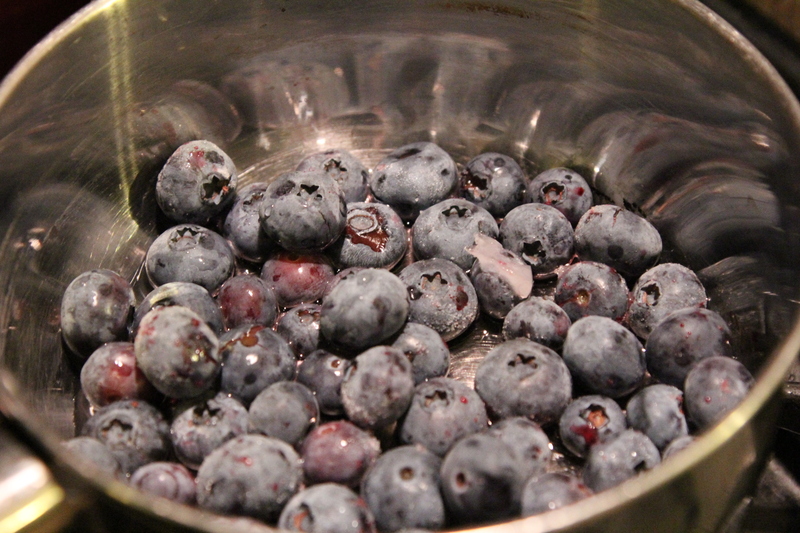 Combine blueberries and a little water in a saucepan. 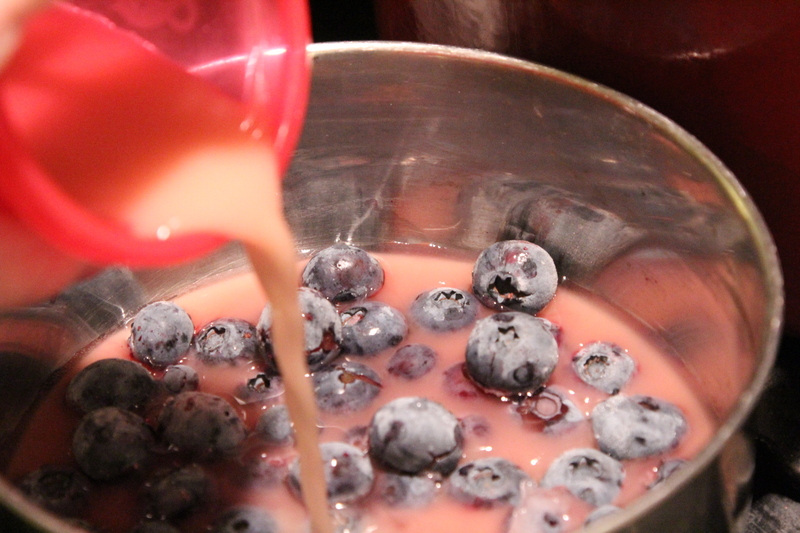 Mix together fruit juice and corn starch until smooth and pour this into blueberries. Bring to a boil and then add in the honey or sugar. I just like any excuse to use my cool honey dipper jar. Stir and keep on medium heat until thickened up. Turn down to simmer until ready to serve. 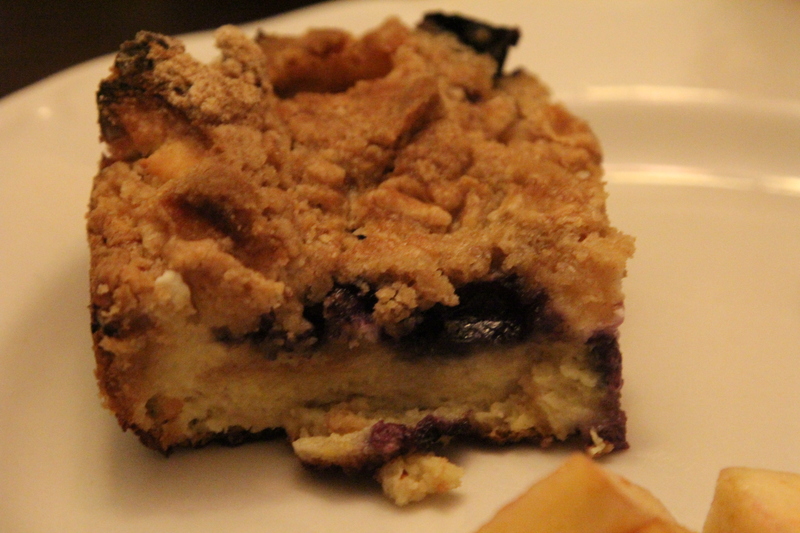 Spoon warm sauce over servings of the Baked Blueberry French Toast. We had leftovers the next morning and this warms up wonderfully. Grease an oven safe 9 x 13 pan. 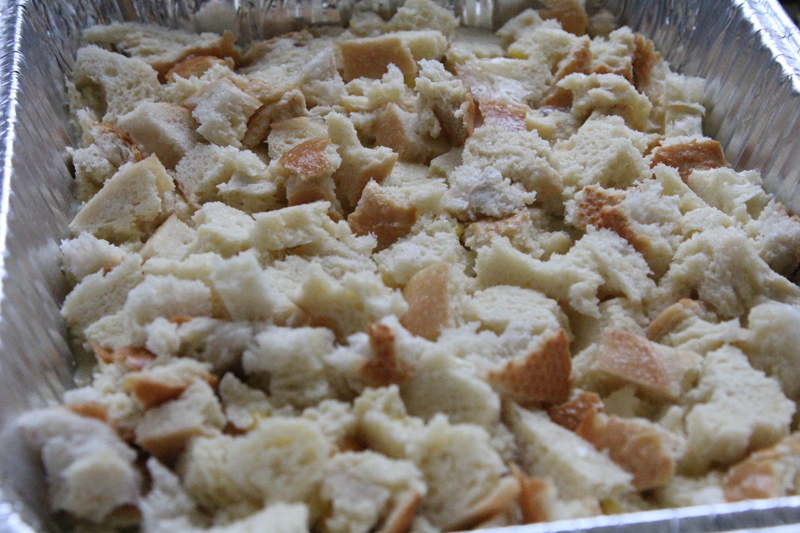 Tear or cut bread into chunks and place in the pan. In a bowl, mix together the eggs, half and half, milk, sugar, and vanilla extract. Pour egg mixture over top of the bread. Stir gently if needed to ensure all bread is coated. Sprinkle on 1 C blueberries. Carefully spoon the softened cream cheese onto the bread in little dollops evenly spaced. You stop here, cover and refrigerate if making this the night before. 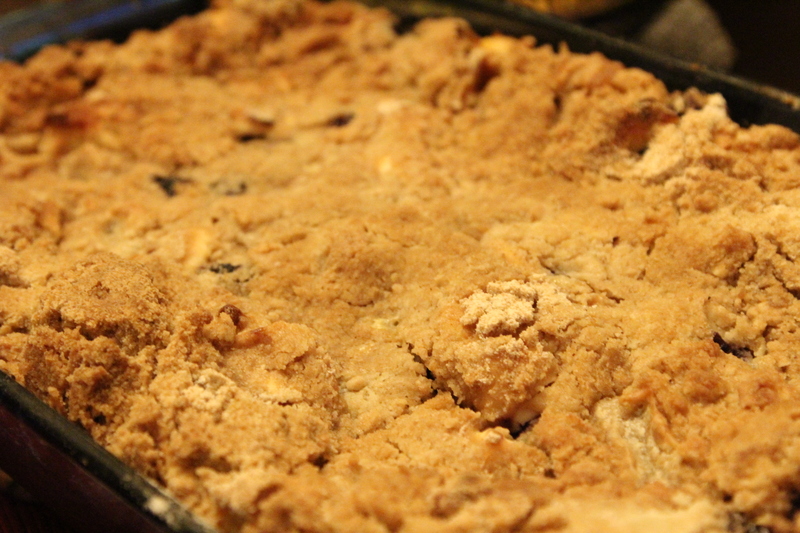 Just hold off on adding the topping until right before baking. 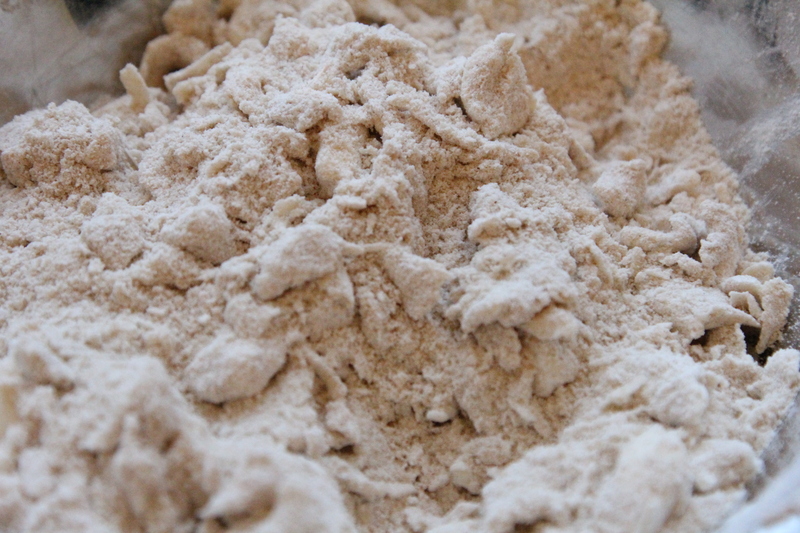 In a bowl, combine the topping ingredients – flour, brown sugar, cinnamon, salt and cut in the cold butter with a fork, pastry cutter or fingers until mixture is combined and crumbly. Spread the topping mixture evenly over the french toast. Bake at 375° F covered for 30 minutes and then bake for another 25-30 minutes uncovered. 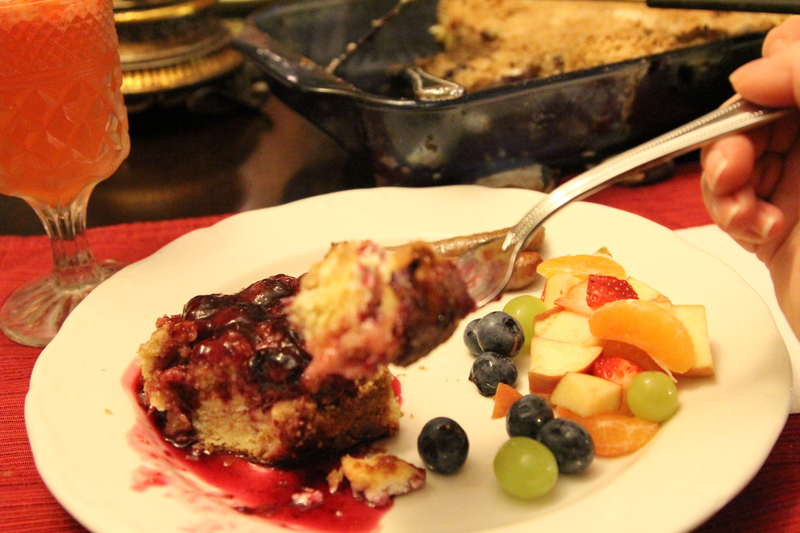 In the meantime, make your blueberry sauce – optional. Combine 1 C blueberries and 1 TBS water in a small saucepan on medium heat. Mix together fruit juice and corn starch, stirring until smooth. 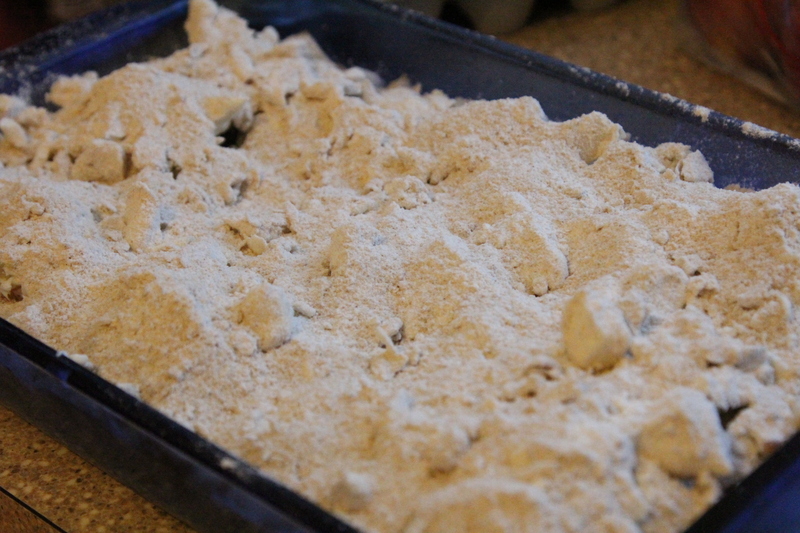 Add the cornstarch/juice mixture to the blueberries and continue to heat over medium heat until thick. Keep on low simmer until ready to serve. 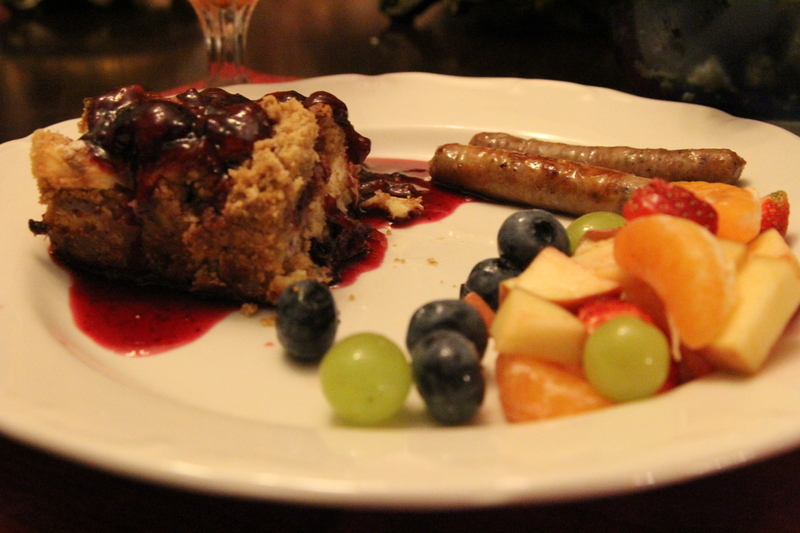 Spoon warm blueberry sauce or maple syrup over top of the Baked Blueberry French Toast. I made it yesterday for our brunch and we enjoyed leftovers today. Glad you liked it as much as we do!! Happy Easter to you guys!